Provide comfort for the family of Steven Chambers with a meaningful gesture of sympathy. Steven Alexander Chambers, 55, of Cartersville died Saturday, January 19, 2019 at his residence. Born in Cartersville on June 6, 1963 he was the son of the late Roy E. Chambers and Willa Mae Smith Chambers. He was also preceded in death by his brother, Vic Chambers; and his sister, Renee Stark. Steven was a member of Atco Baptist Church. He very generous man who was loved by everybody but was a “mama’s boy” to the core. He was a truck driver by trade and loved riding motorcycles. Survivors include his mother, his daughters Keesha Landers (Robert), Latisha Lawrence (Daniel), and Kendra Chambers; his grandchildren, Braxton Hefner, and Zavier Landers; his brother, Dennis Chambers (Lisa); and several nieces and nephews. A memorial service will be held at 2:00 p.m. on Saturday, January 26, 2019 at Atco Baptist Church with Reverend Mike Boatfield officiating. The family will receive friends at the church on Saturday from 1:00 p.m. – 2:00 p.m. prior to the service. In lieu of flowers those desiring may make memorial contributions in Steven’s honor to the Atco Baptist Church bus ministry or to the American Cancer Society. 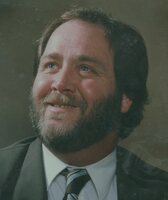 Parnick Jennings Funeral Home and Cremation Services is honored to serve the family of Steven Alexander Chambers; please visit www.parnickjenningsfuneral.com to share memories or to leave a condolence message. To send flowers in memory of Steven Alexander Chambers, please visit our Heartfelt Sympathies Store.